Candidates looking for Government Jobs have a good news as Staff Selection Commission has Issued the Official Notification of Combined Higher Secondary Level (10+2) Examination -2015. Employment Recruitment for the post of Postal Assistants/Sorting Assistants, Data Entry Operators and Lower Divisional Clerks posts.Candidates who are interested read the notification below and if you are eligible for SSC recruitment 2015 apply online on or before 13th July 2015. 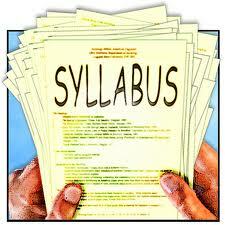 Here is the complete Syllabus for the SSC CHSL 2015 Exam and the Details you need to know. General Intelligence: It would include questions of both verbal and non-verbal type. The test will include questions on Semantic Analogy, Symbolic operations Symbolic/Number Analogy, Trends, Figural Analogy, Space Orientation ,Semantic Classification, Venn Diagrams, Symbolic/Number Classification, Drawing inferences ,Figural Classification ,Punched hole/pattern-folding & unfolding , Semantic Series, Figural Pattern – folding and completion, Number Series, Embedded figures, Figural Series, Critical Thinking, Problem Solving, Emotional Intelligence, Word Building, Social Intelligence, Coding and de-coding, Other sub-topics, if any Numerical operations. English Language: Spot the Error, Fill in the Blanks, Synonyms/Homonyms, Antonyms, Spellings/ Detecting Mis-spelt words, Idioms & Phrases, One word substitution, Improvement of Sentences, Active/Passive Voice of Verbs, Conversion into Direct/Indirect narration, Shuffling of Sentence parts, Shuffling of Sentences in a passage, Cloze Passage, Comprehension Passage. General Awareness: Questions are designed to test the candidate’s general awareness of the environment around him and its application to society. Questions are also designed to test knowledge of current events and of such matters of everyday observation and experience in their scientific aspect as may be expected of an educated person. The test will also include questions relating to India and its neighbouring countries especially pertaining to History, Culture, Geography, Economic Scene, General policy and scientific research. For VH candidates of 40% and above visual disability and opting for SCRIBES there will be no component of Maps/Graphs/Diagrams/Statistical Data in the General Intelligence & Reasoning / Quantitative Aptitude. Last Date of Submission of Online Application : 13th July 2015. Date of Examination : 01st Nov 2015, 15th Nov 2015 , 22nd November 2015. Candidates apply online following the steps mentioned above. Hope you have got all information required to apply for SSC CHSL recruitment 2015. Candidates are advised to keep on visiting this page regularly, until they check theirSSC CHSL 2015 result. We will update this page and bring you the SSC CHSL exams results right here on this page, once it goes live officially. For any Queries or doubts feel free to ask below in comments. Also you can follow us on Facebook for latest Jobs updates, don't miss any!